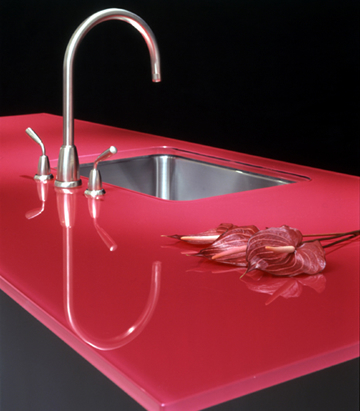 Our coloured glass worktops are manufactured and toughened to British standards. Various options to choose from. 1. Standard toughened coloured glass which is available in 15 mm thickness @ (£429 per M2 + VAT) or 19mm thickness (£572 per M2 + VAT). 2. New Eco scratch resistant toughened coloured glass available in 10mm thickness (£403 per M2 + VAT).